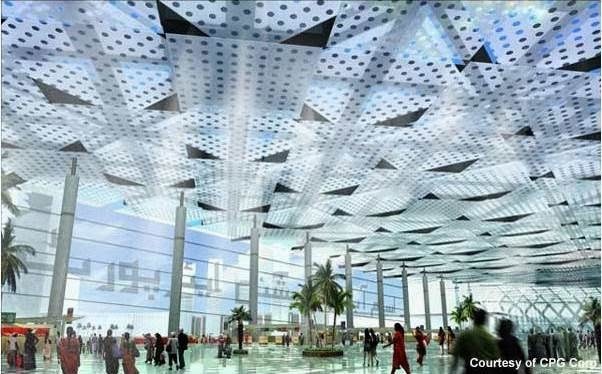 A research report by Karachi-based University team reveals that new Islamabad International Airport has enormous potential to be the "largest" international airport of Pakistan, a status which Karachi is enjoying since Pakistan came into being in 1947. Almost all of Pakistan's domestic carriers are currently based in Karachi including Pakistan International while most of the foreign airlines travel non-stop to the city of Karachi where its Jinnah International Airport handles estimated 11 million passengers annually. Report says that new Islamabad International Airport is close to the 'economic heart' of Pakistan, with the largest cities of Lahore and Peshawar just a motorway away from the new site. It also says that Islamabad is the hub of foreign tourists and visitors coming to see Pakistan's Northern Areas with regular flights to Skardu and Gilgit. The New Islamabad International Airport has the potential to be a major transit destination and a refueling point for flights going to destinations in Central Asia, Russia, Western China and North-East Europe but for that a lot needs to be done by the authorities in Islamabad including making policies for relaxation in transit visas, allowing international passengers use airport facilities without visa, facilitating foreign passengers with visa on arrival at both the airport and international borders (Wagah, Afghanistan and Iran) as well as extending Pakistan railways track to the new airport site and reserving space for a bus terminal for inter-city buses such as Daewoo and NATCO. The report also cites example of India's Delhi Airport which has overtaken Mumbai's Airport as India's Aviation hub with success attributed to the airport's privatization in 2006, a new modern terminal and Air India appointing the capital as its hub. In 2006, the Indian government, as part of the privatisation drive, handed over the Delhi and Mumbai airports to two private companies, GMR Infrastructure and GVK Group, respectively. But while Delhi quickly added a new terminal, Mumbai's expansion was delayed by a large slum that encroached onto airport land. The report added that Karachi Airport will remain the largest cargo handler.